The Disney Vacation Club (DVC) is the Disney version of a vacation ownership program, a time share so to speak. However unlike a traditional timeshare where owners buy a specific size unit in a set time of year, the DVC works on a point system that allows members the flexibility to travel in the way they choose at a wide variety of beautiful DVC resorts. Disney has announced that sales for the all-new 15th Disney Vacation Club Resort, Disney's Riviera Resort, are now open to current DVC Members. 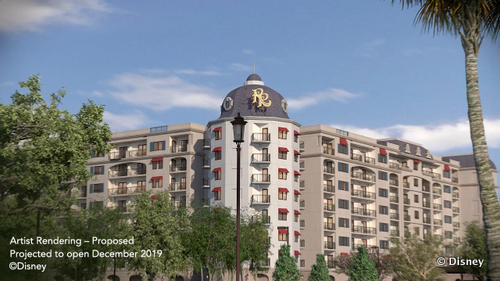 The new property will immerse guests in the grandeur and enchantment of the European Riviera, just like Walt and Lillian Disney enjoyed on their travels. Inspired by early 20th-century elegance of the sun drenched Mediterranean Coastline, this brand new property includes 300 Disney Vacation Club Rooms, including deluxe studios, one- and two-bedroom villas, grand villas, that sleep up to 12 guests each, and a new, unique accommodation, Tower Studios. The featured Riviera Pool, will offer lounge chairs and colorful sun umbrellas, with a winding stone turret slide. S'il Vous Play, is an interactive water play area with a whimsical fountain featuring several beloved characters from Disney "Fantasia." Bar Riva, an open-air pool bar with a seaside decor, guests will encounter a relaxed European coast vibe with hospitality that will extend poolside. Le Petit Cafe, named for "The Arisotcats," will have the feel of a modern French patisserie that will be a charming coffee bar by day, and transform into a stylish wine bar by night. Primo Piatto will feel like dining on along a Riviera promenade. The Riviera Resort will be connected to Epcot and Disney's Hollywood Studios via the all-new Disney Skyliner. Disney's Riviera Resort are now open exclusively for Disney Vacation Club Members until April 15, 2019, at which time sales will open to the general public. 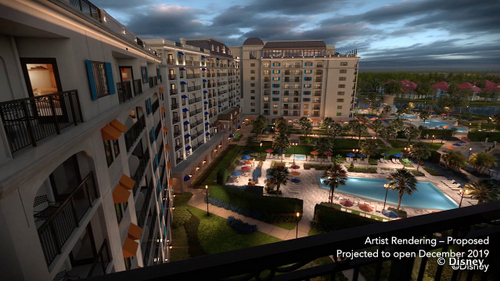 Is this new Deluxe Disney Resort on your must stay list? Leave a comment below and share your thoughts!